Made for MQAI 2008 show. Depicts the life cycle of the earth, which is the music of the spheres. Gauze, twigs, buttons, cotton fabric, peltex hand and machine stitched. 20"x24". 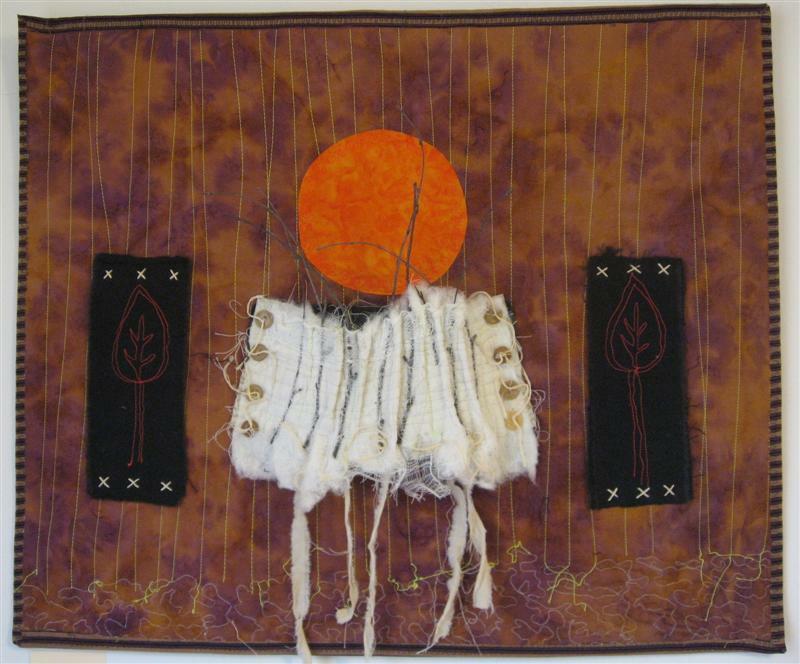 Made for the Michigan Quilt Artists Invitational show, 2006. It represents both a coral reef, and the night sky. The show travels around Michigan for a year. Velvet, batik cottons, netting, dupioni silk, embroidery floss, beads, sequins. 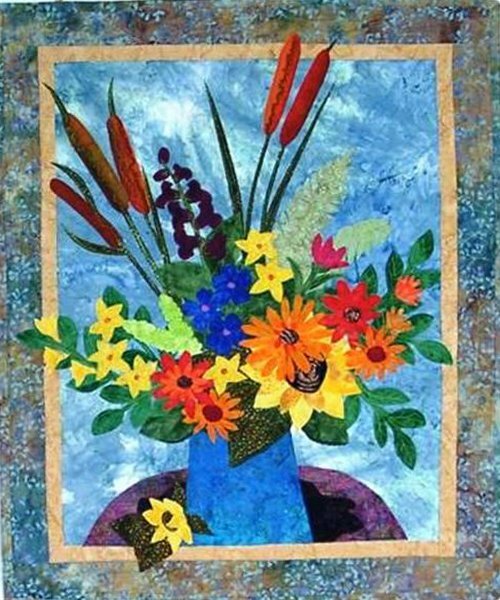 Fusible applique;, and hand embroidery and quilting. 20" by 24"
Winner of a Judge's Choice Award for Best Use of Batiks in the Kaleidoscope of Quilts Show 2005 in Sylvania, Ohio. Made for a friend who lives in her own secluded woods. Batik and other fabrics. Size 33" X 34". Made in 2005. Made for the Michigan Quilt Artist Invitational Show, 2005. The show theme was Australia. Includes Batiks, netting, glitter paint, watercolor pencils and glass beads. Made in 2005. Size 20"x24". The following is an excerpt from the Flint Journal by Christopher R. Young, September 19, 2005. 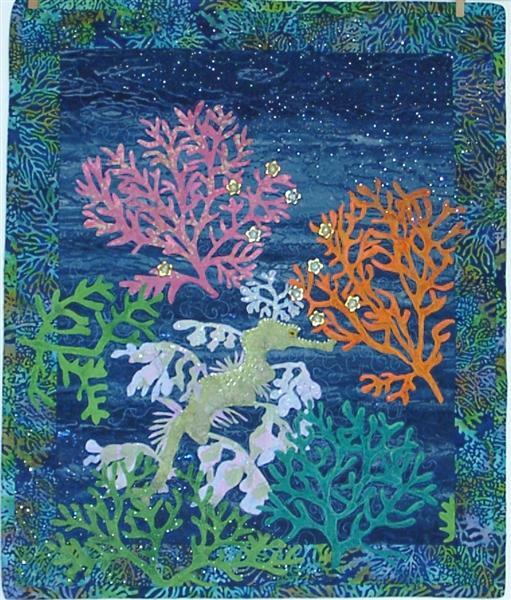 In "Dragons in the Deep Down Under" by Kathleen Campau of Ann Arbor coral passages vibrate with vitality and an unbridled sense of joy. 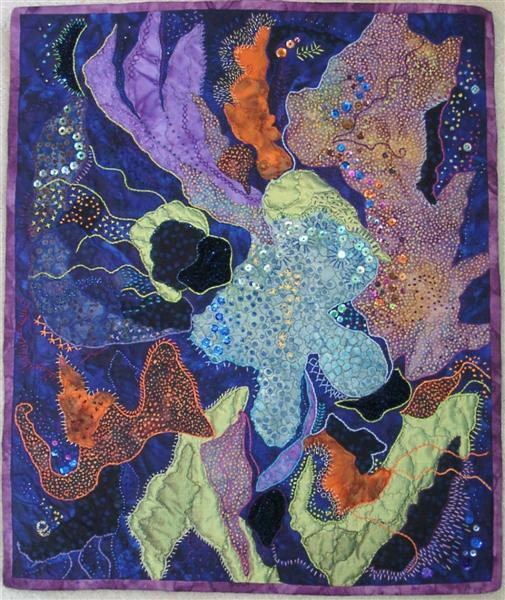 Cutout networks of fabric defining the coral in flashing pink, lime green and aquamarine colors are pristinely appliqued to a cobalt blue background. A pale-greenish seahorse seems subdued by its coral reef habitat. Small glass flowers and glittering flecks are scattered over the surface to heighten the sense of light and water. 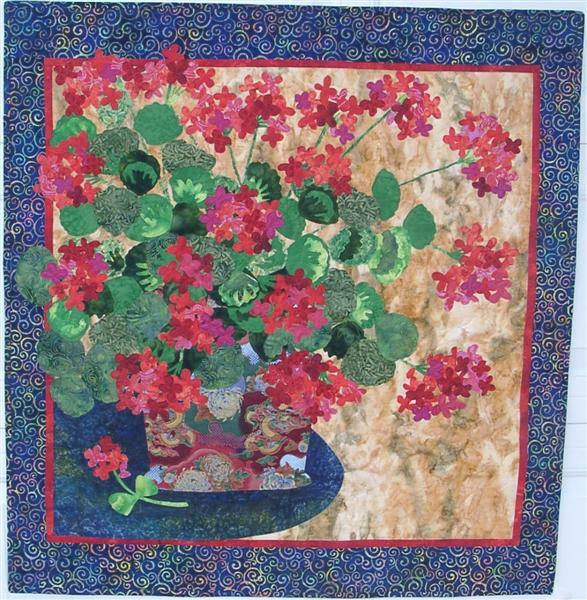 This quilt was in the 2006 International Quilt Festival show, Floral Quilts exhibit. Bright colors and an autumn favorite, cattails. Fusible applique. Made in 2005. Size 24"x30". 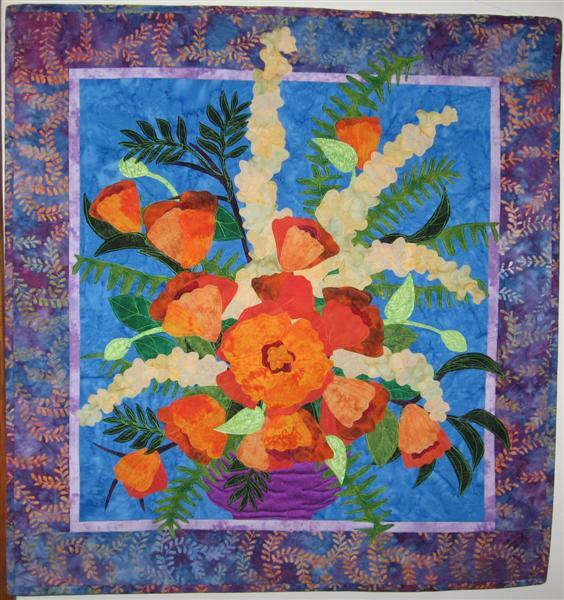 This quilt was in the 2006 International Quilt Festival show, Floral Quilts exhibit. 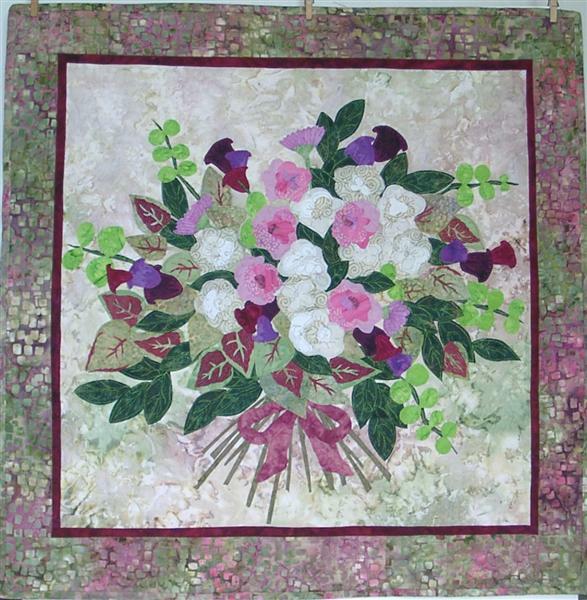 A profusion of blooms, fusible applique, and machine quilted. Made in 2006.